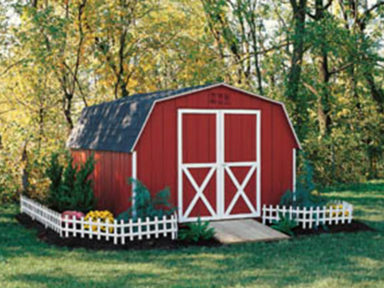 The Mini Barn brings it’s own country charm to your backyard and is the most economical style building. It is available in three versions. 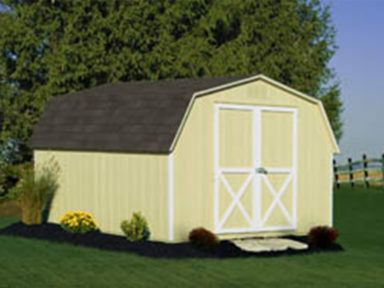 The premium 4′ side wall barn is 8′ tall at its peak. 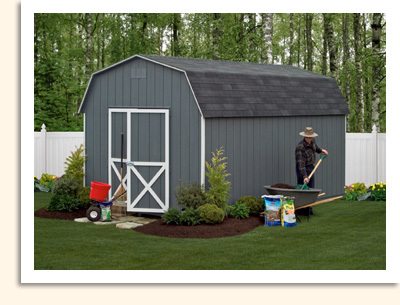 The premium 6′ side wall barn is 10′ tall at its peak. 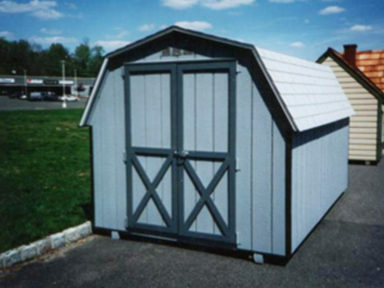 Both premium barns come standard with a rear window, 2″ x 4″ wall and roof studs (16″ on center), 5/8″ T1-11 siding, and a treated under frame. 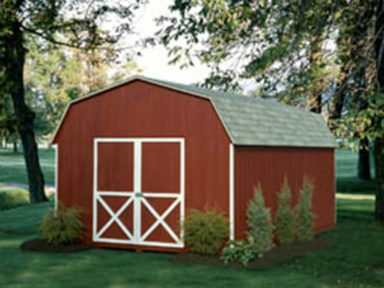 The Economy Barn has 2″ x 3″ wall and roof studs (24″ on center) with 1/2″ T1-11 fir siding and treated under frame. Note that the Economy Barn is not available in vinyl. 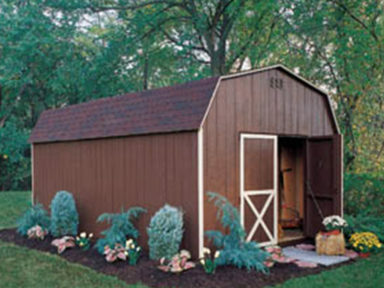 See our portfolio of standard Mini-Barn sheds below.